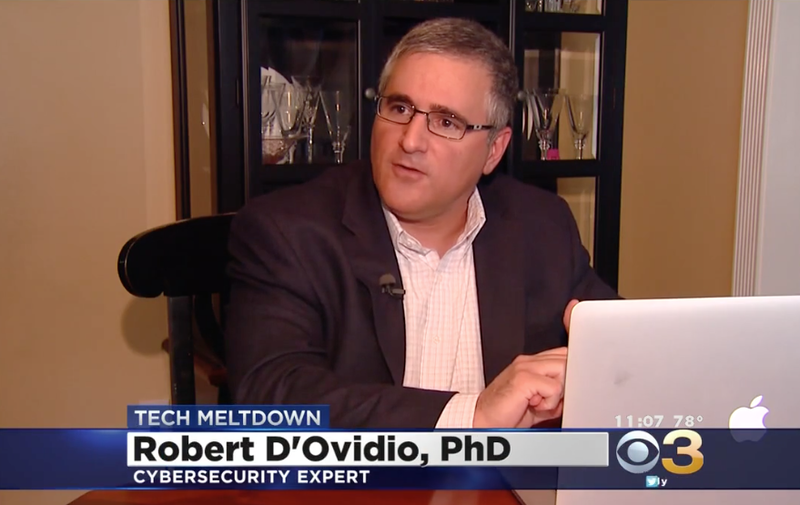 Drexel’s Cybersecurity Institute was recently featured in a Philadelphia Inquirer story about the growing job market for cybersecurity professionals. With data breaches and security hacks happening nearly every week, the demand for experts who can help keep information secure is at an all-time high. Drexel has been ramping up its efforts to prepare students for leadership roles in this rapidly expanding field. In addition to opening its own Cybersecurity Institute and launching a cybersecurity master’s program last year, the University is providing learning opportunities for its students in the classroom, the lab and in the field. In addition to five undergraduate degree programs and numerous related course offerings, Drexel offers two master’s programs that are certified by both the National Security Agency and the Department of Homeland Security. These courses are taught, both in the classroom and online, by some of the preeminent experts in cybersecurity, who have commented extensively in the news about cybersecurity challenges facing our nation. Students at Drexel learn from preeminent experts in cybersecurity. Drexel’s Master of Science in Cybersecurity is a joint degree created by the College of Computing & Informatics and the College of Engineering. As such, it addresses hardware, signal processing and programming measures to prevent information breaches, as well as the information management training to detect and stem data breaches. Drexel students are also in training to become leaders of cybersecurity management in government and the public sector. The Master of Science in National Security Management applies cybersecurity training to homeland security and the law, and provides students with the knowledge to help organizations make sound decisions on dealing with national security, corporate security, risk, cybersecurity, law and policy. The Cybersecurity Institute brings together academics from across the university who are working on ways to proactively neutralize and prevent cybersecurity threats. By analyzing the behavior of cyber criminals, the technology and tactics that they employ and the vulnerabilities that they expose, Drexel experts are providing government and industry with the understanding and technology to fortify their security measures. Faculty members from Drexel’s Cybersecurity Institute are tapped as experts to address breaking cybersecurity issues. Under the direction of Rachel Greenstadt, PhD, Drexel’s Privacy, Security and Automation Lab is turning out empirical research on the behavior of cybercriminals, programs that can help identify the malicious coders behind hacks and breaches and others that can guard your privacy online. Dandekar, who directs the Drexel Wireless Systems Laboratory, is teaching students how to secure wireless networks through use of new antenna configuration technologies. Among other activities, his lab conducts hack-and-defend exercises where students learn about the vulnerabilities of public networks and how to close those gaps in security. The Cybersecurity Institute is also home to the Auerbach and Berger Families Cybersecurity Laboratory, which serves as the University’s first training facility dedicated to identifying challenges and discovering solutions in the areas of cyber infrastructure protection and incident response. The lab allows researchers, cybersecurity professionals and students to gain hands-on experience in protection, defense and attack operations without disturbing real-world networks. Graduate programs are modeled after the medical school rotation model. Students gain experience in a variety of research areas before moving into three-month co-op positions at corporate and government employers. Gaining hands-on experience before entering the workforce can be a rarity for cybersecurity students because it requires employers to give their co-ops a great deal of security access. This isn’t necessarily feasible for a short-term internship, but because the Drexel Co-op program lasts for an entire term and the University has longstanding partnerships with employers, Drexel students have the opportunity to learn from security professionals in the workplace. Drexel students have worked and trained alongside professionals at companies like Comcast, JP Morgan, Security Risk Advisors and Protiviti, Day and Zimmerman. As demand for professionals grows, Drexel is working hard to prepare them. A recent partnership with the U.S. Army Reserves will put reservists in Drexel classes for the latest cybersecurity training. And this fall more than 270 students will take cybersecurity classes at Drexel—continuing a steady growth of enrollment in a field that is perpetually evolving.